Categories A bit of me, FTW! I am celebrating my first blogging birthday! Well, not exactly celebrating since it’s a little before 12 in the morning and I am writing this post. 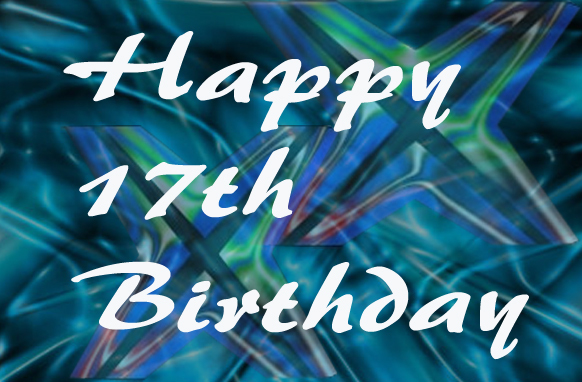 I turned 17 today (which you might have already realised after seeing the image). Also, I’m done with this long post of mine. Perhaps you would like to visit some other blog who’s author doesn’t waste posts for informing his readers that he is one year closer to death or to immortality may I say considering the fact that one cannot die after dying. An assumption I know. I am rambling I know. You are cursing me I know. So go ahead, wish me. Me wishing myself. A little odd innit? Nevermind, they call me TheDolt for a reason. What are my plans? I don’t know. I might end up in a cinema hall watching Harry Potter 7 (and spend the rest of the day writing it’s review) or make out with a Stegosaurus and end up with a nasty infection or watch Harry Potter 7 while making out with a Stegosaurus and spend the rest of the day writing a post which may/may not involve/refrain any relation to the either the movie or the Stegosaurus. Also, probably it’s time you stopped reading this blog. It’s getting too monotonous. PS: This post was typed on the mini USB multimedia keyboard I won at CODE 2010. Just in case you didn’t want to know. the funny thing is : you ain't a 'dolt' , you will make a difference in blogosphere! keep blogging and happy b'day! The boy has grown up….